I went to the doctor for a physical earlier this week. Unlike my freshman college calculus class, I passed this test with flying colors. I also learned that I have 20/13 vision. Unsure if that was good, bad, or meant that I was living a couple of years in the past, I asked the nurse for some clarification. She informed me that my vision was “better than perfect,” as if that’s really a thing. Upon further research, apparently I can see at 20 feet what the average person can see only at 13 feet. So I can see really well. Which is awesome–until I remember that walking faithfully has nothing to do with what I can see (2 Corinthians 5:7). God’s word will illuminate my way, telling me where to and where not to step. Encouraging, right? Well, sort of. The object used in the illustration is a lamp, which would be the ancient equivalent of a flashlight. However, whereas the modern flashlight projects a concentrated beam quite a distance ahead, the ancient lamp didn’t have that ability. You know what a lamp in this context would illuminate? The next step. 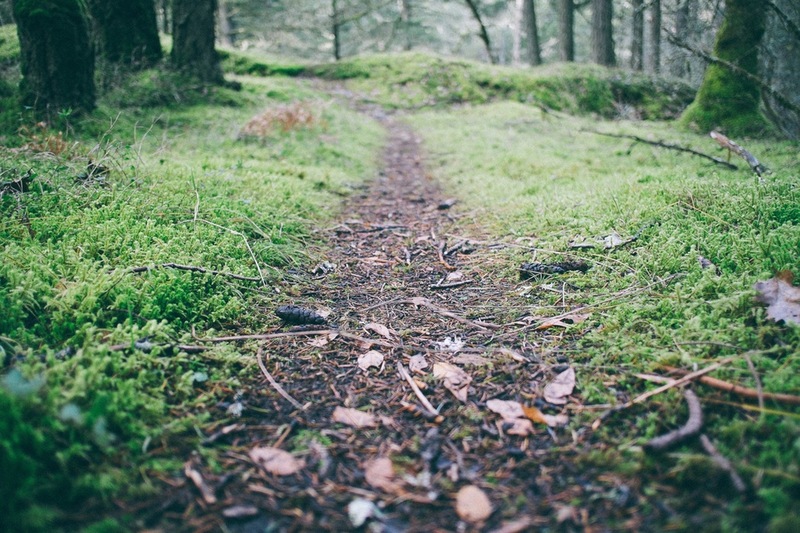 Not the end of the path, not the desired destination–just the next step. Here’s the deal: being able to see at 20 feet what most people can only see at 13 feet means nothing when the lamp only lights the way for the next 3 feet. And so we walk by faith, not by sight. Sometimes it’s more like stumbling or crawling, but by God’s grace we progress by faith–not by faith in the path or by faith in the destination, but by faith in the One who lights the way, one painfully slow step at a time. I’m currently reading a book entitled, “The Senior Pastor and the Reformation of Youth Ministry” by Richard Ross. It’s really challenging my perspective on the “why” and “how” behind student ministry and what a healthy student ministry should look like–but that’s a topic for another day. Often it feels to me as if, for many of our people, singing praise songs and hymns on a Sunday morning has turned into an affair with Christ. . . . Too many of us are far more passionate about less, temporal concerns such as getting ahead at the office, finding personal happiness in a hobby, driving a new car, or rearing well-balanced children. But we rarely ever get that excited about Christ Himself, at least on any consistent basis. Except when we enter a sanctuary on a Sunday. Then for awhile we end up sort of “swooning” over Christ with feel-good music and heart-stirring prayers–only to return to the daily grind of secular seductions to which, for all practical purposes, we’re thoroughly “married.” . . . Christ is more like a “mistress” to us. He’s someone with whom we have these periodic affairs to to reinvigorate our spirits so that we can return, refreshed, to engage all the other agendas that dominate us most of the time. I wonder how many of us are merely having “an affair with Christ”? I’m not casting stones here. I’ll be the first to acknowledge my guilt of singing and raising my hands from the stage on a Sunday only to turn back to the “secular seductions” (work, schedules, finances, and yes, sometimes ministry) when the alarm clock goes off on Monday morning. I don’t have this figured out yet. In Paul’s all-too-familiar words, “I have the desire to do what is right, but not the ability to carry it out.” (Romans 7:18) But “thanks be to God through Jesus Christ our Lord” (Romans 7:25) who calls us his Bride, even when we treat him like a mistress. Each Sunday morning I lead a group of college and young adult aged men and women through some sort of Bible lesson, discussion, etc. (Yes, it’s a Sunday School class; there’s just something about the phrase “Sunday School” that makes me cringe a little.) Last Sunday we talked a bit about the account of Mary and Martha found in Luke 10:38-42. If you’re not familiar with the passage, Jesus applauds Mary for sitting at his feet, while encouraging Martha to be less concerned about the “many things” that cause her to be “anxious” and “troubled” and to be more concerned with him. Naturally, I encouraged the group to make time for the most important thing–their relationship with Jesus–in the midst of other important things–relationships, school, work, etc. Wednesdays are always busy days for me. On a typical Wednesday I’m usually up around 5am, at the church office at 9am, and finally get back home around 10-11pm. But this past Wednesday made a typical Wednesday look like a walk in the park. The day started with a doctor’s appointment for Owen, which revealed a nasty ear infection along with some other medical issues that his pediatrician wanted to examine further. Then it was off to the lab for blood work (which, might I add, is absolutely miserable for a one year old and parents). I finally made it into the office around 12:30 where I managed to get caught up on Wednesday night youth group preparations before venturing back out to run some work errands, pick up O’s prescriptions, and swing by to check in on the family. I got back to the church building around 5pm, jumped right into youth band practice which ran right up until our gathering started at 6:30. For the next hour and half we sang, laughed at people eating disgusting flavors of jelly beans, sang some more, and talked about Jesus. No sooner than I had said “amen” on the closing prayer, Kelli informed me that we needed to take Owen to the hospital as a result of some of the aforementioned medical issues. So off to the hospital we went–and after an X-ray, a CT scan, some IV fluids and a lot of waiting, I finally laid down to sleep around 4am (which would’ve been later were it not for a self-sacrificing wife). But what I didn’t tell you was that throughout the vast majority of that Wednesday I carried around a bottle of Coca Cola that I had purchased earlier in the day. 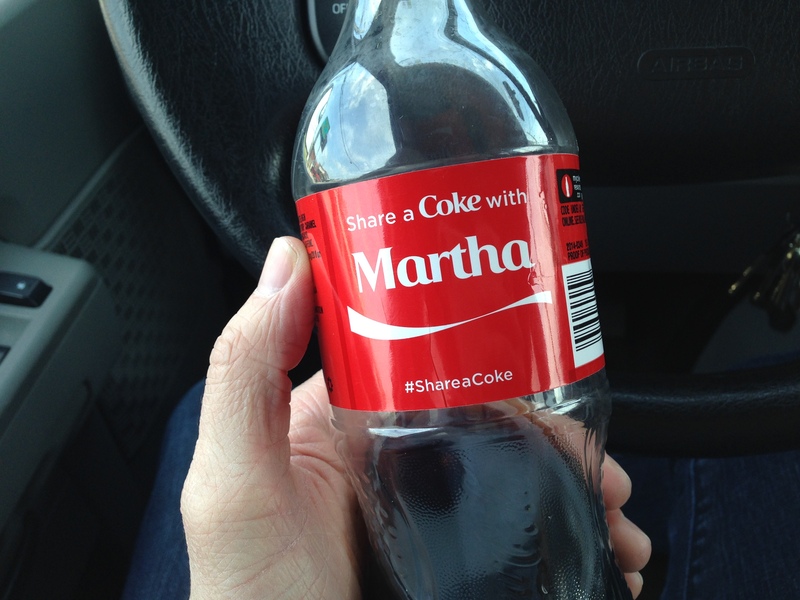 It was one of those bottles from the “Share a Coke” campaign that had a random name on it. But for that particular Wednesday, I don’t think the name was very random at all. What was the name? Martha. You know–the Martha from passage I had just talked through the previous Sunday. The Martha that was so preoccupied, troubled, and anxious with her “many things” that she nearly missed the most important thing. The Martha that I encouraged my group not to be that week was the Martha that I had been that day. I had gotten so caught up in doctors appointments, schedules, preparations, and yes, even ministry, that I had neglected just sitting at the feet of Jesus. I don’t want to be the guy that over-spiritualizes every little thing–but what a subtle reminder to practice what I preach. More importantly, what a reminder not to miss the most important thing in the midst of other important things. And clearly, God enjoys Coke more than Pepsi.